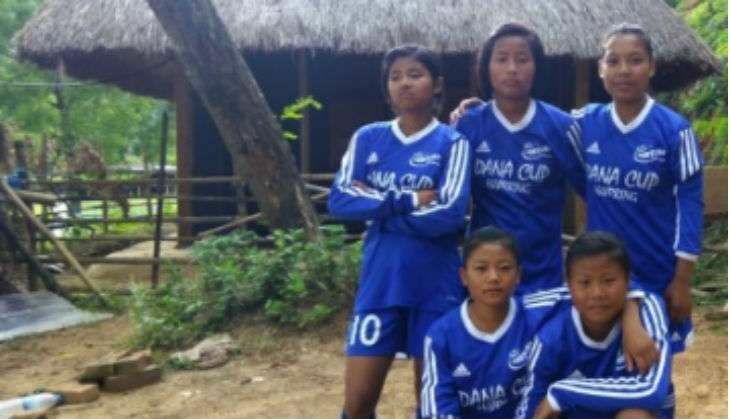 Five budding female football players from Manipur have been chosen to represent India at the Dana cup in Denmark in July this year. Kh Nirmal, Ph Nirmal, Sh Thajamanbi, Kh Anita and Ch Geeta have been selected by the Soccer Foundation of India to represent India at the tournament. The five play for AMMA FC, all-girl-only football club from Manipur. The young footballers, from Andro High School and Brighter Public School from Imphal East, will attend a training camp in New Delhi from 3 July before they join 24 other Team India players to fly to Denmark on 20 July, a report said. Dana Cup, which was established in 1982, will see over 2,000 teams from 50 countries battle it out for the cup. This year's games will mark the 36th edition of the annual tournament. The games, which will see players between U12 to U19 battle it out, will be thrown open with an inaugural ceremony at Hjorring Stadium on 25 July. The Indian football authority has been an official partner of the Dana Cup since 2014. Will Katrina Kaif sign on for Salman Khan's comic caper with Rajkumar Santoshi?